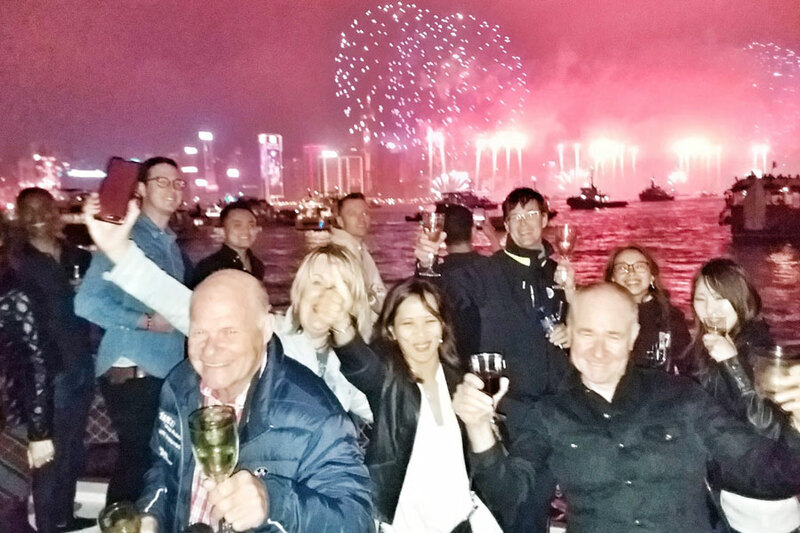 Join us for Hong Kong’s New Year Fireworks onboard our exclusive 63ft junk boat. Enjoy free flow drinks and a gourmet dinner buffet against the most amazing backdrop – the Hong Kong skyline at night. We take a maximum of 40 people on our Hong Kong fireworks cruise making this the smallest group countdown party available in Hong Kong. Our Hong Kong New Years Eve harbour cruise sets sail from Causeway Bay at 9 pm. Full details on the meeting point including maps and picture directions are provided upon booking. Our Hong Kong fireworks cruise lasts 4 hours and finishes at 1 am back at Causeway Bay pier. At midnight the night sky will be set ablaze with an incredible 12-minute fireworks display over Victoria Harbour. We guarantee you the best vantage point in the city for watching the Hong Kong fireworks. Avoid the horrendously crowded streets this new year in Hong Kong and relax in style with Hello Hong Kong. 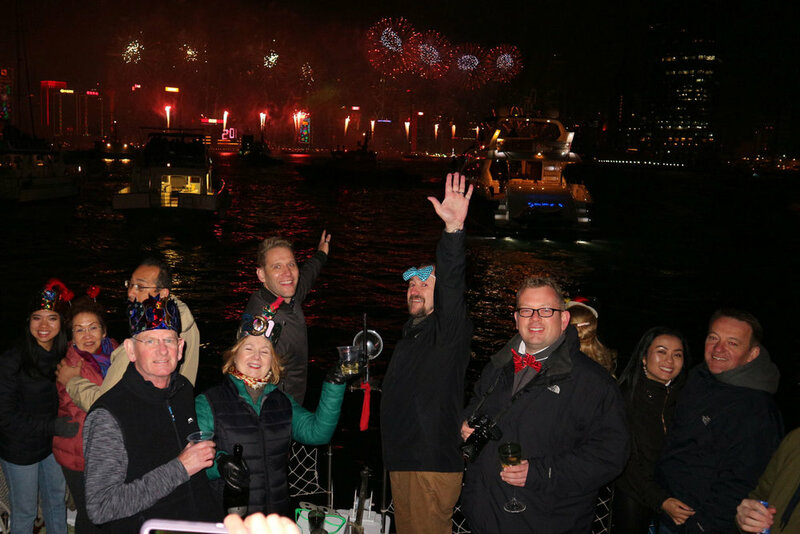 Our Hong Kong New Years Eve harbour cruise is a casual affair for over 18s only. We will have a fully stocked bar operating on a help yourself basis, although we will be walking around with a bottle keeping you topped up! There will be good music, good food and a good bunch of people onboard. Bring your dancing shoes and get ready for a good old fashioned shindig! It does get cold at new year in Hong Kong; please wear something warm and fabulous! Our exact buffet menu will be confirmed nearer to the time. New Year is a fabulous time to be in Hong Kong; it is impossible to not get caught up in the energy of the city’s biggest and most colourful festival. Make sure you plan ahead and book early. 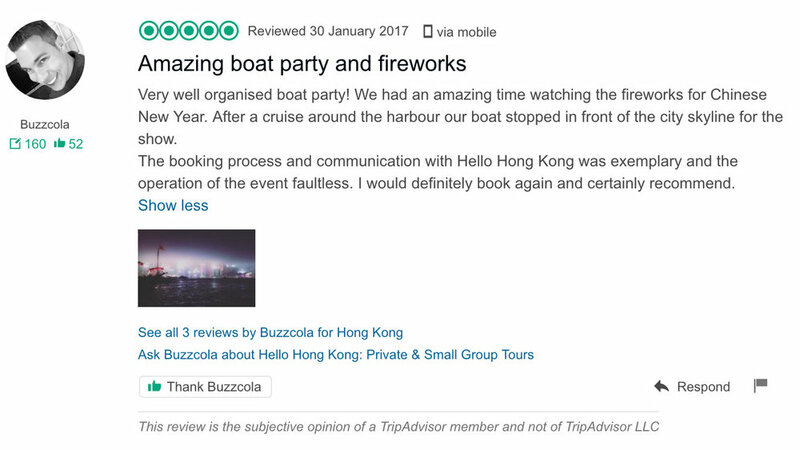 Our Hong Kong New Year Fireworks harbour cruise gets great reviews so make sure you do not miss out! All prices listed are in HK$. 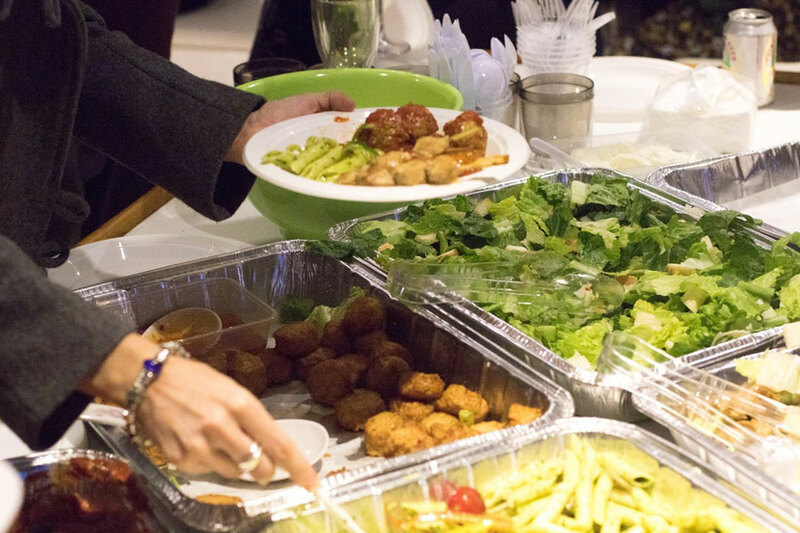 The price includes all of the food and speciality drinks consumed during the cruise. Prices listed do not include the costs of transport to get to and from the start and end points of the cruise. No children under 18 years of age please.